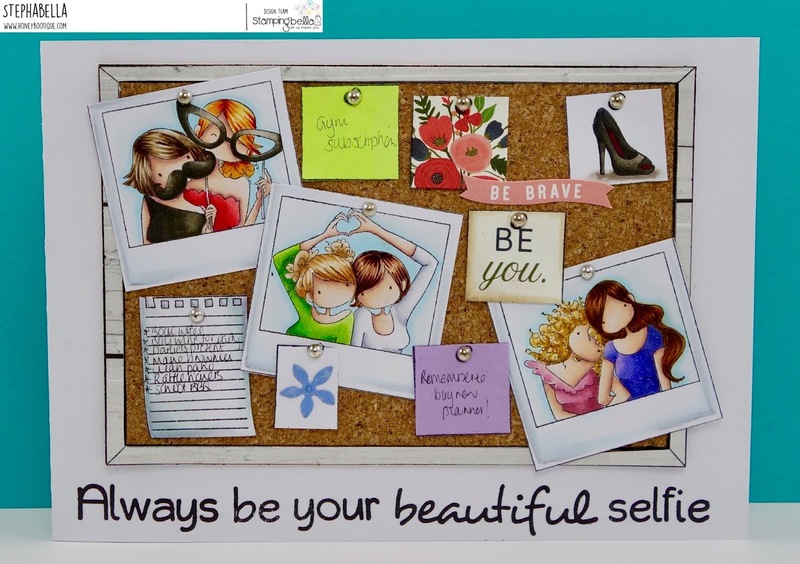 Honey Bootique: Stamping Bella- Uptown Girl Snap Shots Minis! Stamping Bella- Uptown Girl Snap Shots Minis! 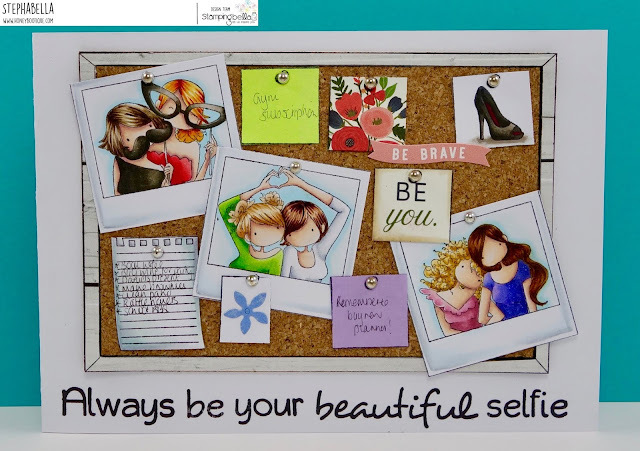 So in this card I am using Uptown Girls Snapshot Minis, Corkboard Backdrop, the shoe from Edna The Everything Fairy and the sentiment from Uptownies Samantha and Sierra Take A Selfie. I coloured all the images using copics and cut out. I used some of the notes and post-its from the Corkboard Backdrop and in the case of the yellow and purple, I actually stamped them on Post-It notes- I like to be authentic!! ha ha. I also cut a few little bits from patterned paper which I thought would look good on a noticeboard and also added some hand-written notes for interest. 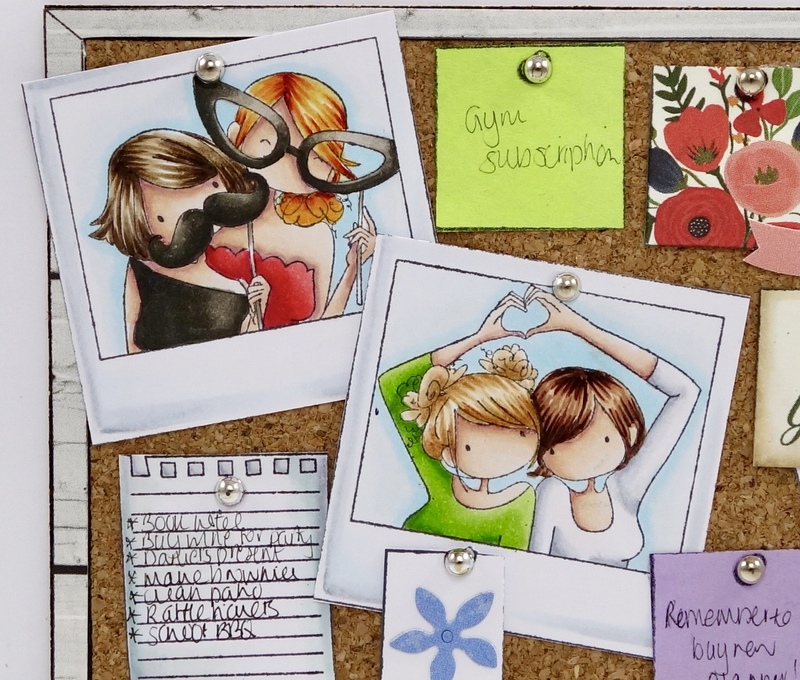 The cork board was created stamping onto the adhesive cork and then just cutting inside the frame. I then stamped onto patterned paper to create the wooden frame and then just added the cork inside. I like the little metallic gems I found as they look like pins!